Facebook has procured more than 3 gigawatts of electricity from solar and wind plants since 2013, including more than 2,500 megawatts within the past year. It is second only to Google in the sheer scale of its purchases, based on data collected by the Rocky Mountain Institute Business Renewables Center. What’s more, the social media giant is behind the biggest single set of corporate power purchase agreements (PPAs) announced so far in 2018, a series of six solar projects that will generate 437 MW of electricity from two projects near its data center in Prineville, Oregon, and four installations planned by PacifiCorp in Utah . . . The company has invested considerable energy, so to speak, in negotiating with utilities. 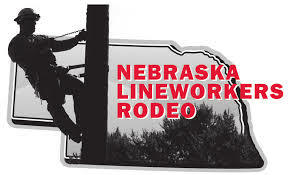 For example, the company was involved in shaping a tariff adopted by the Omaha Public Power District in Nebraska last year. Read more here. Currently, OPPD utilizes PPAs for the output of five wind farms: Grande Prairie, Prairie Breeze, Flatware, Petersburg, as well as Sholes, which is under construction. 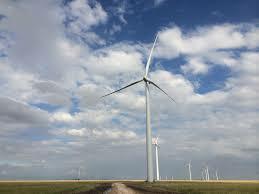 Also, OPPD has signed power sales agreements with NPPD for the partial output of five other wind farms. Those farms are Ainsworth, Broken Bow 1, Broken Bow 2, Crofton Bluffs and Elkhorn Ridge. The normal term of OPPD’s PPAs is 20 years. The new community solar project near Fort Calhoun is under a PPA, with NextEra Energy Resources. In Papillon, Nebraska, another Facebook data center will run on power from a nearby wind farm, now under construction, with 101 massive wind turbines. 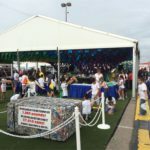 Facebook Commits To 100% Renewable Energy & 75% GHG Emissions Reduction By 2020, Clean Technica. In March Facebook and Adobe signed PPAs for the electricity generated from the soon-to-be-completed 320 megawatts (MW) Rattlesnake Creek wind farm in Nebraska. Renewable energy has helped communities everywhere from American Indian tribes in Nebraska to islands in the Caribbean find relief with wind and solar power in areas impacted by the limitations of traditional energy grids. One area installing solar panels that might seem unlikely: U.S. army bases. Facebook announced Tuesday it will slash greenhouse gas emissions by 75 percent and transition global operations to 100 percent renewable energy by the end of 2020 in efforts to “help fight climate change.” Similarly, Tesla CEO Elon Musk tweeted over the weekend that his company’s enormous Gigafactory in Sparks, Nevada will run entirely on Tesla Solar by the end of 2019. Five prominent firms with operations in Ohio are endorsing a report advocating 2.2 gigawatts (GW) of solar for Ohio by 2030, lending their corporate logos in support. Reaching 2.2 GW of solar in Ohio would involve $3.6 billion in investment, and “sustain 800 direct jobs and over 1,700 indirect and induced jobs each year,” said the report, and would boost the state GDP by $1 billion per year. 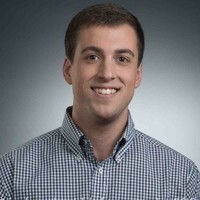 This entry was posted in Nebraska / Midwest News, NewsBlog and tagged 100% renewable energy news, distributed wind energy, energy storage, Nebraskans for Solar NewsBlog, Power Purchase Agreements (PPA), renewable energy news on August 30, 2018 by Helen Deffenbacher. The Cornhusker Harvest wind farm project is one step closer to being built with three meteorological towers being put up near Tobias earlier this month. The farm, to be built on land in both Fillmore and Saline counties, is being headed by APEX Clean Energy based in Charlottesville, Virginia, and has been in the pre-construction stages since 2016. According to APEX project developer Dylan Ikkala, a total of eight towers are included in the project. Ground has yet to be broken on the project as the meteorological towers were needed to gather data. Continue reading here. This entry was posted in Nebraska / Midwest News and tagged APEX Clean Energy, Cornhusker Harvest Wind Farm, data gathering for wind farms, Fillmore County, meteorological towers, Saline County, The Seward Independent, wind energy development in Nebraska on August 29, 2018 by Helen Deffenbacher. Colorado’s Public Utility Commission (PUC) voted unanimously on Monday to give preliminary approval to Xcel Energy’s Clean Energy Plan, which would see the utility close 660 MW of coal-fired generation a decade earlier than scheduled and shift to renewable resources. Under the plan, Xcel will close units 1 and 2 at the Comanche Generating Station in Pueblo and invest $2.5 billion in renewable energy and battery storage. The utility expects the plan to save ratepayers $213 million. In January, the utility solicited notably low bid prices for wind-plus-storage, $21/MWh, as well as $36/MWh for solar-plus-storage, some of the lowest bids for renewable energy plus storage on record. Read more here. By 2021, Xcel expects wind to be its single largest energy resource — and that means big changes to grid operations. 275 MW / 1.0 GWh of energy storage. Falling Renewables Prices Present ‘Unprecedented Opportunity’ For Western Co-ops, North American Windpower. To illustrate the importance of this broad regional trend, RMI produced a case study of Tri-State Generation and Transmission Association, a nonprofit, member-owned cooperative utility that provides power to more than 1 million consumers in Colorado, Nebraska, New Mexico and Wyoming . . . According to RMI, the results of the study are consistent with the broader market trends illustrated though publicly available contract prices for new renewable resources in the Mountain West. A Twin Cities developer who recently completed one of Minnesota’s largest residential solar energy projects hopes that it serves as a model for future multi-family developments. The New York State Energy Research and Development Authority (NYSERDA) released new guidance for municipalities developing solar projects on landfills or brownfields, to maximize expansion on underutilized land and the state’s efforts to increase renewable generation. This entry was posted in Energy Storage, NewsBlog and tagged Colorado PUC, Colorado's Public Utility Commission (PUC), Excel Energy's Clean Energy Plan, Facebook, GRID Alternatives' Tribal Solar Accelerator Fund, Illinois' Future Energy Jobs Act, Minnesota's community solar development, Nebraskans for Solar's NewsBlog, renewable energy news, solar on brownfields, Tri-State Generation, Wells Fargo, Xcel CEO Ben Fowke, Xcel Energy on August 28, 2018 by Helen Deffenbacher. The Solar Energy Industries Association (SEIA) determined that the US installed 2.5 gigawatts (GW) of solar PV capacity in Q1 2018 to reach 55.9 gigawatts (GW) of total installed capacity, enough to power 10.7 million American homes. This represents a 13% increase year-over-year. Total installed US PV capacity is expected to more than double over the next 5 years, and, by 2023, over 14 GW of PV capacity will be installed annually. Alongside this pattern of solar industry growth comes the major challenge to educating future renewable energy professionals. There is an essential need to build a conduit from the classroom to solar installation worksite. Since solar is an emerging field, many students have a limited understanding of how to translate engineering theory into actual solar practice. 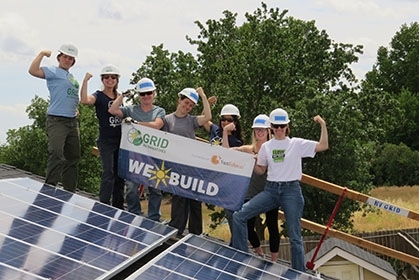 Professional role models who offer their personal insights and solar industry experience narratives can offset those gaps and create a robust and diverse solar energy workforce. Carolyn Fortuna, Ph.D. is a writer, researcher, and educator with a lifelong dedication to eco justice. She’s won awards from the Anti-Defamation League, The International Literacy Association, and The Leavy Foundation. The grant has been awarded to WHN Solar SA, which has picked Nebraska-based consulting firm HDR International Inc to conduct the study. Guest speakers from NREL will discuss their new report, which reviews existing and emerging Low-and Moderate-Income (LMI) community solar programs, discusses key questions related to program design, outlines how states can leverage incentives and finance structures to lower the cost of LMI community solar, and examines marketing and outreach considerations. This entry was posted in Nebraska / Midwest News, NewsBlog and tagged Anne Hoskins - Chief Policy Officer of Sunrun, Carolyn Fortuna, Clean Energy States Alliance (CESA), CleanTechnica, diversity in the solar energy workforce, Nebraska-based HDR International Inc on August 28, 2018 by Helen Deffenbacher. 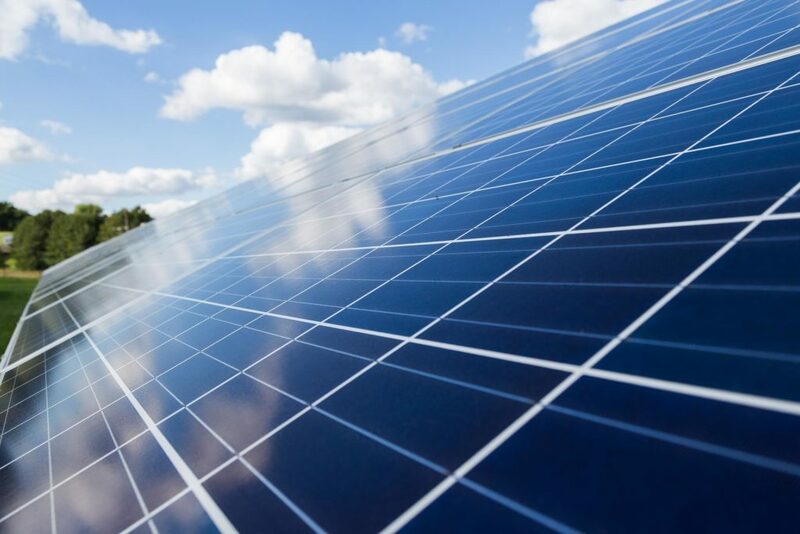 Adding more solar “should have been a slam dunk” for Connexus Energy, a “hometown favorite” electric cooperative in Ramsey, Minnesota, said Rob Davis, a clean energy advocate who observed the siting process. But the utility’s motion to build was almost denied. Land is valuable, and “anytime you build anything anywhere there’s a neighbor, and that neighbor is going to have an opinion for better or worse,” said Davis, who directs the Center for Pollinators in Energy and also leads the Media & Innovation Lab at Fresh Energy in St. Paul, Minnesota. The saving grace? Pollinator experts and ecologists testified this wouldn’t be just any solar development — it would be pollinator-friendly, giving work opportunities to local seeders and apiarists as well as providing ecological benefits to the surrounding area. Continue reading here. 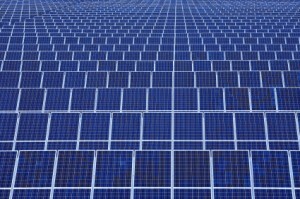 Minnesota’s Legislative Bill HF 3353: Voluntary solar site management practices established. Audubon Case Study: Minnesota Solar Sanctuaries Bill. 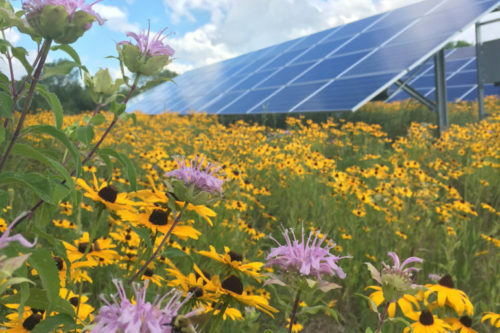 This case study describes Audubon Minnesota’s role in creating and passing a bill to set voluntary standards for solar energy sites that are friendly to birds and other pollinators. This entry was posted in NewsBlog and tagged Audibon Minnesota, Catherine Morehouse, Center for Pollinators in Energy, economic benefits of pollinator-friendly solar sites, pollinator-friendly solar sites, Rob Davis, Utility Dive on August 27, 2018 by Helen Deffenbacher. 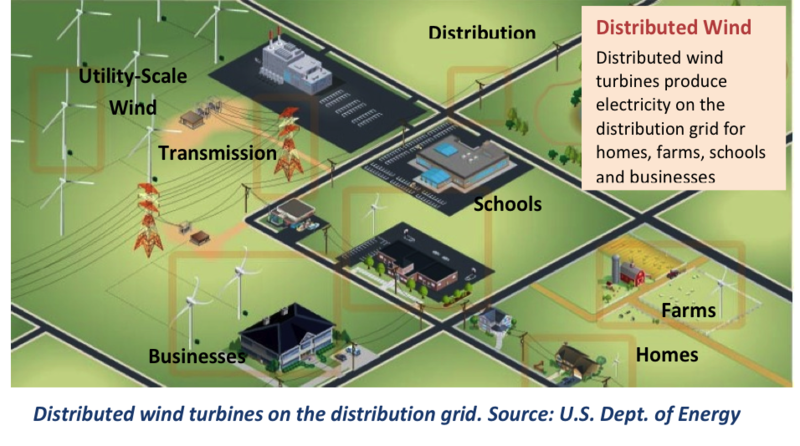 Unlike wind power from wholesale generation where power is sent through transmission lines and substations, distributed wind power is used at or near where it is generated, according to DOE. Iowa had the most new distributed wind capacity installed in 2017 with 63.47 megawatts, according to the report. Distributed wind systems are connected on the customer side of the meter to meet the onsite load or directly to distribution or micro grids to help grid operation or offset large loads close by, and are possible for approximately 49.5 million residential, commercial or industrial sites, according to an analysis by the DOE. The U.S. wind industry installed more than seven gigawatts of capacity in 2017, according to the report. Read more here. The Distributed Wind Installers’ Collaborative, which is funded by the U.S. Department of Energy, has produced a series of case studies showcasing the many facets and opportunities within the distributed wind industry. The first published case studies feature projects located on a dairy farm, at a net zero home, a recycling facility, and a rural cooperative. tens of thousands of new jobs with the right policies in place. The deadlines to apply for grants are October 31, 2018, and April 1, 2019. Applications for loan guarantees are accepted year-round. REAP helps agricultural producers and rural small businesses reduce energy costs and consumption by purchasing and installing renewable energy systems and making energy efficiency improvements in their operations. This entry was posted in Financing, Nebraska / Midwest News, NewsBlog and tagged American Wind Energy Association, distributed wind energy, Distributed Wind Energy Association (DWEA), Distributed Wind Installers Collaborative, federal Investment Tax Credit (ITC), Iowa, Ohio, renewable energy incentives, Rural Energy for America Program (REAP) grants, U.S. Department of Energy, Wind for Schools on August 27, 2018 by Helen Deffenbacher. WAKEFIELD, Neb. — A massive wind project is taking shape in Dixon County, Nebraska, and plans are underway for another large wind project in neighboring Wayne County. In Dixon County, northeast of Wakefield, Enel Green Power North America Inc. is constructing $430 million Rattlesnake Creek Wind Project . . . Meanwhile, in Wayne County, Chicago-based Lincoln Clean Energy is drafting plans for its 20,000-acre Plum Creek Wind Project near Winside. Philip Moore, vice president of development with Lincoln Clean Energy, said that construction on the project may commence sometime in the summer 2019. The turbines should be up and running by 2020. Read the entire article here. 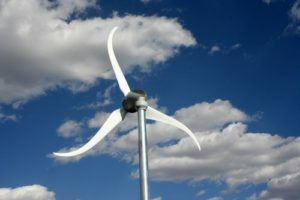 This entry was posted in Nebraska / Midwest News and tagged Bloomberg, corporate procurement of renewable energy, Dixon County, economic benefits of wind energy development to Nebraska communities, economic benefits of wind energy development to Nebraska landowners, Enel Green Power North America Inc., J.M. 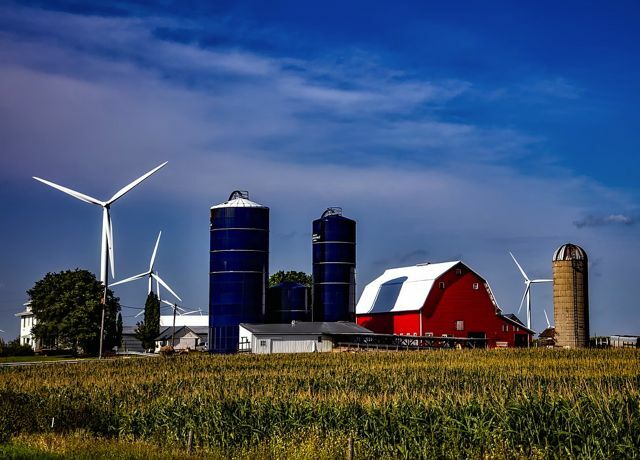 Smucker Company, Kimball Wind Project, Lincoln Clean Energy, Nebraska's Rattlesnake Creek Wind Project, Wayne County, wind energy development in Nebraska on August 26, 2018 by Helen Deffenbacher. Wind power capacity has tripled across the United States in just the last decade as prices have plunged and the technology has become more muscular, the federal government’s energy labs report. 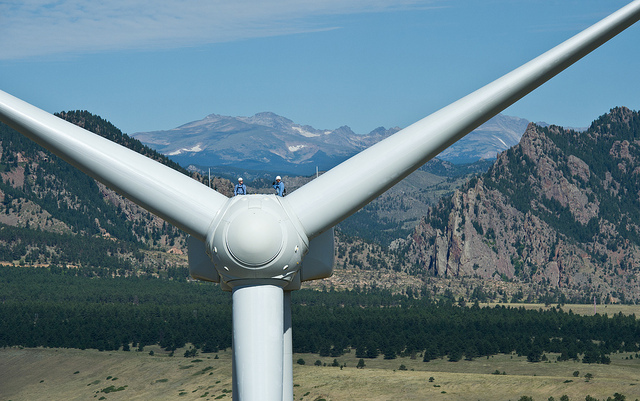 Three new reports released Thursday on the state of U.S. wind power show how the industry is expanding onshore with bigger, more powerful turbines that make wind energy possible even in areas with lower wind speeds. Offshore, the reports describe a wind industry poised for a market breakthrough. Continue reading here. New California Bill Pushes for Near-Term Boost in Solar and Wind, Plus More Geothermal, Greentech Media. AB 893 would mandate that utilities and CCAs buy 2,500 megawatts of solar and wind by 2022, before federal tax credits expire. Senator Martin Heinrich (D-NM) outlines his new “Clean Energy Vision” in a special episode of Political Climate. Over 70 cities have made commitments to reach 100% renewable energy. Several states, including Hawaii and California, have adopted or plan to adopt similar targets. But what’s often ignored is how inexpensive it would be to meet the goals. Bottom line: In nearly 40 states, renewable electricity is less expensive than the existing power supply. 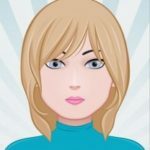 This entry was posted in NewsBlog, Research and tagged 100% renewable energy news, declining costs of wind and solar, National Solar Tour, Nebraskans for Solar NewsBlog, renewable energy jobs, renewable energy legislation, U.S. wind & solar energy development on August 24, 2018 by Helen Deffenbacher.